We have all been there before; you open up your fridge, grab a container of milk, check out the date and see that it is a few days past due. You smell it, and it smells fine, but you’re so worried that the milk will make you sick that you dump the half that is left down the drain. So sad to see it go, but you decided that it wasn’t worth the risk. Well, what is I told you that these dates placed on products you buy do not always indicate that the item has gone bad! 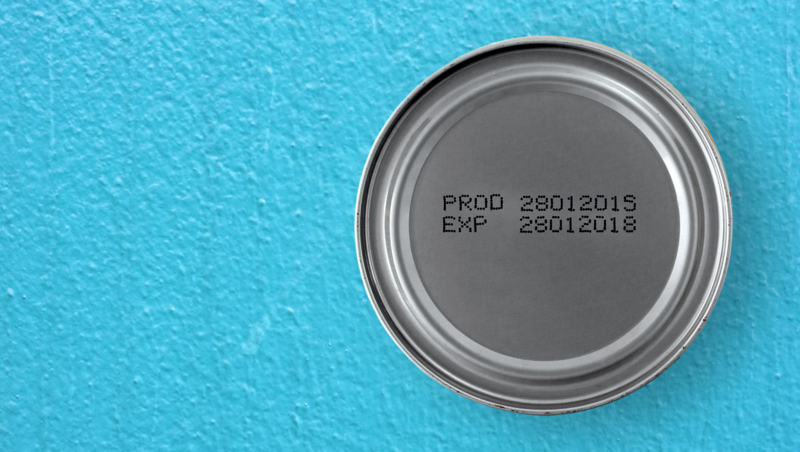 Crazy, we know, but in reality expiration dates do not always indicate that the food had spoiled. Rather, it is a date that has been placed on the item by the manufacturer as the best estimate of when a product will be at its peak freshness. In fact, some foods can still be consumed well past the date on the item. I am talking days, weeks, and even months after the expiration date! So, kind reader, before you throw out an item that is past its expiration date, we would like to provide you with a guide for deciphering due dates! Sell by labels are basically there for the store staff and you should not worry too much about these. These labels are there to preserve freshness and quality, and are seen a lot on baked goods and prepackaged deli items. These products are completely safe for consumption well after the date! So, enjoy! If you are concerned about food safety, the best course of action is to watch the temperature of your food. Always beware of the danger zone! If you are unfamiliar with the danger zone, the danger zone is the temperature at which food is not properly stored and runs the risk of contracting a food borne illness. The danger zone is anytime a food (that is supposed to be kept at a certain temperature, like poultry or beef) reaches 40-120 degrees Fahrenheit or 4-44 degrees Celsius. If food has been left on the counter or in your hot car, it is likely unsafe for consumption, even if the proper dates permit you to be able to enjoy the food. We advise you throw out the item to save yourself the risk of getting sick. Utilize your senses and use your best judgement when it comes to deciding if your food is still good or not. You can usually tell if an item has gone bad if it smells funky, feels weird in your hand, or looks not quite right. When in doubt, throw it out. We hope you learned a lot about deciphering dates and you will refrain from throwing out edible food in the future! Enjoy snacking!